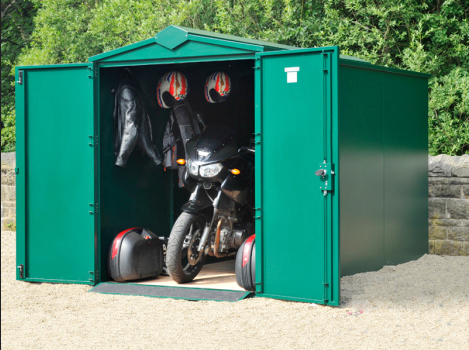 Keep your bike in a dry place - It is advisable to use a cover for your bike rather than a plastic tarp or sheet. This is because the sheet can get damp and lead to rusting, while the plastic tarp will absorb the moisture leading to condensation on your motorcycle. Keep your bike safely in a dry place. Fill up fresh petrol in your car - This will help you to start using your bike once again after storing it for a long period of time. Change the filters too as the moisture in the filter may lead to rusting of the vehicle. Attach a fuel stabilizer to your vehicle - In this way, the fuel doesn’t evaporate and it keeps the system filled up from time to time. Try it for a short period of time to see if the vehicle adjusts with the new fuel stabilizer. Ensure that your battery is full - Some of the bikes out in the market use away your battery for things such as the alarm system, clock and others. It is always better to keep your battery fully charged while stashing it in the storage unit. Later, you can keep returning to the storage unit to recharge your battery. Keep an eye on the tires – It is better if you inflate them as air has the capacity to condense in the tires when the temperature comes down. And in Qatar, the lowest temperatures recorded range between 10 to 15 degrees. Enjoy the winter season and store your bike safely.